The Bauer College Alumni Association (BCAA) will host the first monthly networking breakfast of the Fall semester on Oct. 17 at 7 a.m. in the Houston City Club with featured speaker Andrew Fastow, former CFO of Enron. The Bauer College Alumni Association (BCAA) will host its first monthly networking breakfast series of the semester on Oct. 17 at 7 a.m. with featured speaker Andrew Fastow, former CFO of Enron. BCAA will host networking breakfast events for alumni to network and hear from Houston’s top executives during the months of October and November at the Houston City Club. For more information on BCAA events, click here. To register for October’s breakfast, click here. The breakfasts are $30. 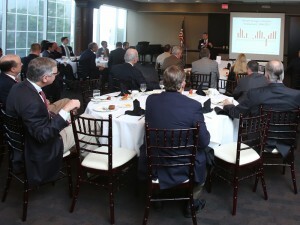 Past BCAA breakfast speakers include officials from the Houston sports, oil and gas and medical industries.